CAMDU is home to multiple advanced light microscopes, both commercial and custom-built systems, alongside computational workstations, software development and integrated petabyte data storage. This includes our Wellcome-funded lattice light sheet microscope and visitor programme (coming soon). 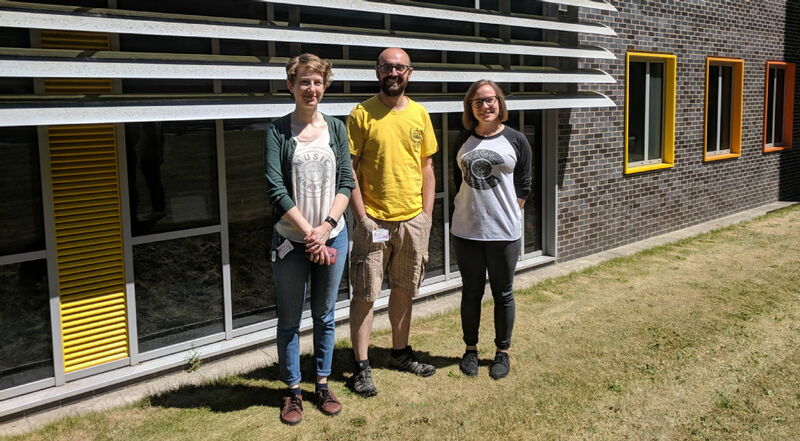 The CAMDU team (L-R): Helena, Erick and Claire. If you are interested in using our computational expertise for large projects, please submit an Expression of Interest Form. You can also access our Training Materials to download presentations and guides to the training sessions we have presented.